... and I have a problem! My closet! Too much stuff, not enough space. 1. I have too many clothes! 2. I have too many clothes! 3. I have way too many clothes! 5. 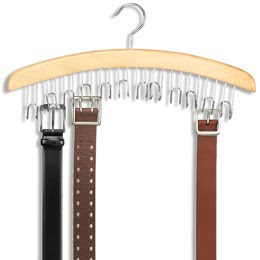 I love belts and I finally found a way to hang them! 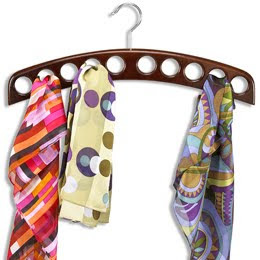 I bought a hanger like this one at The Container Store. 8. I have about 75 scarves (okay I'm exaggerating but there are tons of them). I found this awesome hanger at The Container Store to help me organize them. 10. I don't need to go shopping for a very long time. Pictures of the finished project coming sometime next week. Can't wait to see it! Please come to KS and do mine! Karyn, I can't wait to come visit you, Presley and your closet! Kristin... I learned from the best! :) You taught me to be brutal!